Gdata Review 2019: Is Gdata a Good Hosting? Gdata is a Vietnamese hosting company. 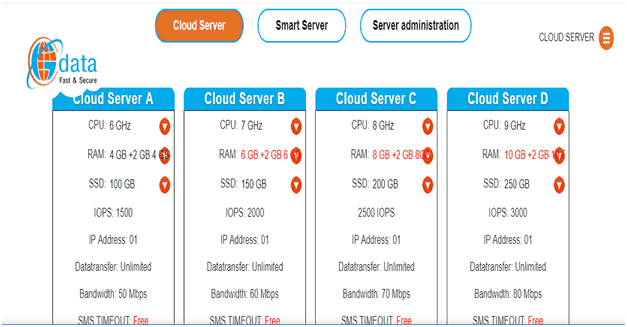 It offers cloud server, smart server, cloud backup, server administration, cloud server on rent and cloud server hardware on rent, and anti DDoS solutions. Gdata’s mission is to provide innovative and high-quality hosting services and products to satisfy the needs of its local customers. The company is happy to serve in Vietnam and has no inclination to go global. With a strong infrastructure, a committed workforce, and extremely cheap prices, Gdata aims to become the go-to hosting solution provider for Vietnamese people. The company’s website supports Vietnamese. When you consider prices of Gdata’s plans with the industry average, you will find them to be extremely cheap. But this doesn’t mean any compromise with quality. The company optimizes its resources along with automating the processes and updating technologies continuously to decrease its production costs. This enables it to offer such low prices to its customers and yet maintain high quality. You can pay for Gdata’s cloud server plans monthly, quarterly, half-yearly, or annually. Payment options include bank transfer, and cash payment at Gdata’s office (in Hanoi). The company will refund your prepaid charges when you want to stop using its service. Gdata’s technical support is on offer 24/7 via phone, email, and by submitting a request after you use your login credentials to enter the client portal. For other kind of support, you can reach the company’s Hanoi and Ho Chi Minh City office by phone and email. 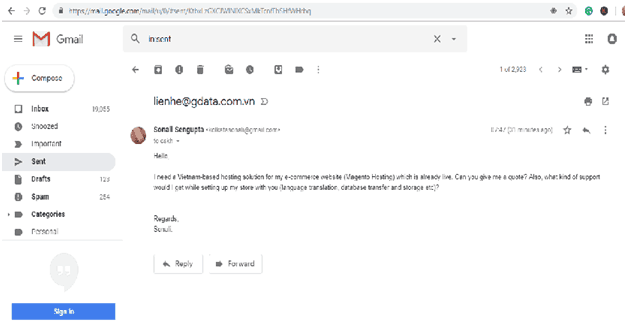 However, I failed to get a quick response for my email query seeking a quotation, which makes Gdata’s claim of 24/7 support questionable. If you are looking for quality hosting services in Vietnam at dirt cheap prices, Gdata can fit the bill perfectly. You can check Gdata’s offerings Gdata! Wondering how Gdata stacks up against other Web Hosting companies? Enter any other Web Hosting company and we will give you a side-by-side comparison.